Italy has been a member of the IIHF since January 24, 1924, making them one of the oldest teams in the entire federation. Over the years, the Italian hockey program has just seemed to get better and better, appearing in several Olympics, World Championships and other tournaments since their inception into the federation. The popularity of the sport has increased considerably in the country over the last 78 years and, even though soccer may be the #1 draw athletically in Italy, hockey is making significant strides. There are two main professional Italian hockey leagues, Serie A and Serie A2, as well as four amateur leagues and six youth divisions, ranging from under-8 to under-20. With Italian hockey starting to gain traction, the draw to play in the country has vastly improved, mostly because of the signings of past and present NHL players. Jari Kurri, Jaromír Jágr, Glenn Anderson, Ken Linseman and Rob Zamuner have all spent time playing in Italy. A number of NHL players signed to play Italian hockey during the 2004-05 lockout, including Craig Adams, Mathieu Dandenault, Matt Cullen, Fernando Pisani and Jason Chimera. Today, players such as Andrew Raycroft, Justin Pogge, Nick Bonino, Jean-Sébastien Aubin and Miloslav Gureň are employed on Italian hockey teams, while former NHL player Steve McKenna is the head coach of Alleghe in the Serie A. Most remarkably, Hockey Milano Rossoblu has signed a partnership with the KHL to make them the westernmost team in that league. When one is to look at some of the best Italian hockey players, however, one will find that the list has a significant amount of players from other countries. Known as expatriates, some of these high-end talents include Canadian-born individuals such as Nicolas Plastino, Adam Russo, Trevor Johnson and Giulio Scandella; American-born Matt DeMarchi, a former New Jersey Devils draft pick; and British-born Thomas Larkin, a Columbus Blue Jackets prospect. Additionally, there is too much emphasis on those who only have Italian ancestry but are not actually from Italy or represent the country on the international stage. That being said, however, the talent pool of those actually born in Italy is just as impressive. Without any intentional disregard to the contributions and talents of expatriates, here is a list of 20 of today’s best native-born Italian hockey players, ranked youngest to oldest by position. 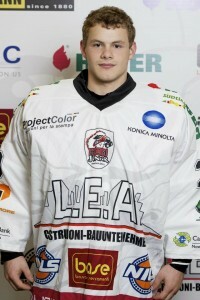 Gianluca Vallini — Born on October 27, 1993, Gianluca Vallini is an emerging superstar among Italian hockey goaltenders. 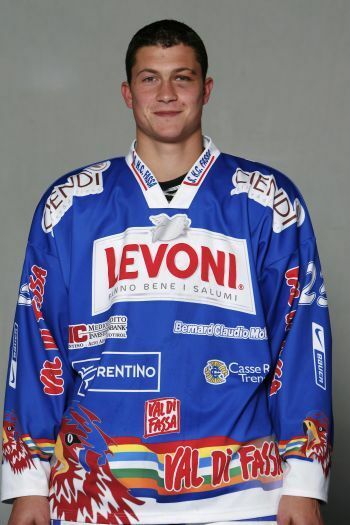 In 2009-10, even before he turned 16, Vallini was already playing under-20 hockey, dressing for the junior team of EV Bozen 84. That season, he appeared in thirteen games, registering a rather impressive 3.23 goals-against average, very solid for an underage goalie such as himself. Also that season, he played in two games at the World Under-18s for Italy, registering a 2.03 goals-against average and an .813% save percentage. He came away with a gold medal around his neck and Italy was promoted. In 2010-11, Vallini started the season with EV Bozen 84’s professional team, which play in the Serie A2. Not long after, though, he moved to North America to play at South Kent School, an all-boys boarding school in Connecticut. Once again, in 2011, he appeared at the World Under-18s for Italy, registering a 2.76 goals-against average and a .905% save percentage in three games. Despite the fact that they were promoted from a lower pool from a year ago, Italy was a contender and they emerged winning silver against a really experienced team from Latvia. Vallini’s 2011-12 season has not been statistically documented but his 2012-13 season has been stellar thus far. Now with Fassa in the Serie A, Vallini has been perfect already, registering back-to-back shutouts in two starts. He is likely going to be Italy’s #1 goalie at the 2013 World Juniors with his backup from the 2011 World Under-18s, Giancarlo Kostner, a possibility to suit up alongside him. Massimo Quagliato — Born on August 16, 1992, Massimo Quagliato has been one of the statistically best young goaltenders on the international stage in Italian hockey today. 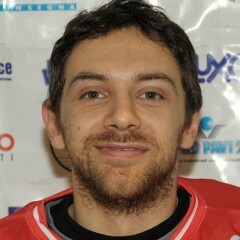 A native of Merano, Quagliato appeared in his first IIHF tournament in 2009 at the age of 16 with Italy’s under-18 team. He emerged playing the majority of the games and, while his 3.73 goals-against average in four games may not have been so stellar, his .912% save percentage certainly was. 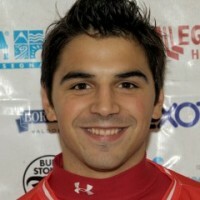 The next year, Quagliato became the undisputed #1 for the under-20 squad of his hometown team. Even though he was brought along to the 2010 World Juniors and won a bronze medal, he made a name for himself on the Italian hockey scene with his play at the 2010 World Under-18s. In each of his four games, he recorded a shutout, helping Italy win gold. 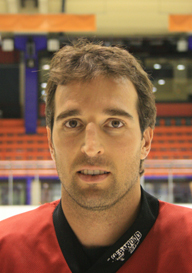 In 2010-11, Quagliato split his campaign between Merano’s junior team and Serie A2 team, as well as playing at the 2011 World Juniors. Despite his sparkling 1.00 goals-against average and .963% save percentage in four games, Italy did not medal at the tournament. At the 2012 World Juniors, Quagliato’s heroics garnered Italy a medal; he recorded a 1.77 goals-against average and a .933% save percentage in five games, helping Italy win bronze. Also during the 2011-12 season, he had a very successful six-game stint with Merano’s Serie A2 team, recording a 1.70 goals-against average and .943% save percentage. This season, Quagliato has made Merano’s professional-league team permanently. Edoardo Mantovani — Born on April 5, 1992, Edoardo Mantovani is one of a growing number of Italian hockey players from Asiago, showing that the city is not just the birthplace of tasty cheese. In 2009-10, Mantovani made his Italian under-20 league début with his hometown team, appearing in ten games and registering a 3.05 goals-against average. The next year, he appeared in eight games for Feltre, a team in the third-highest league in Italy, one that is just a little over an hour away from Asiago. Additionally, despite not playing any games for Asiago in 2010-11, he managed to find himself winning the Serie A’s championship, the Rbk Hockey Cup, that season. Mantovani returned to Asiago’s under-20 team last season and he was the undisputed #1 man between the pipes, appearing in 22 games and registering a 2.48 goals-against average. To add, his backup goaltender was his younger brother Davide, who is two years younger than Edoardo himself. He was also the backup for Italy at the 2012 World Juniors and he won a bronze medal for his country. This season, Mantovani plays for HC Trento, another team only a little over an hour away from home. The Mantovani name carries on in Asiago, though, as Davide has taken over his brother’s job this season with their under-20 team. 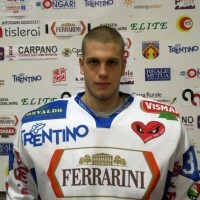 Davide Fontanive — Born on October 30, 1990, Davide Fontanive is an up-and-coming goaltender in Italian hockey. The Fontanive name is quite synonymous with the sport in Italy — he is related to two of his teammates — and he is hoping to help solidify that for years to come. 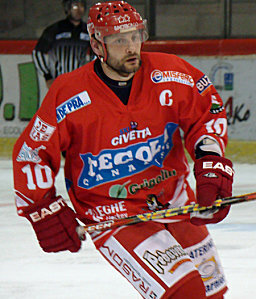 He has played the majority of his career thus far with Alleghe, one of the more well-known teams in Italian hockey, where he is coached by former NHL player Steve McKenna. In addition, he has played 34 games for their affiliate team, Amatori Alleghe, in the third-highest professional league in the country. He has also dressed for games in two Italian Cups, one in 2010 and another in 2012, garnering a contract extension on August 31 of this year. Fontanive may not be the biggest goaltender at 5’7″ and 154 pounds but he surely has the lineage that proves he will be one of Italian hockey’s most successful netminders as he gets more time between the pipes. He is learning from former OHL top goaltender and Buffalo Sabres draft pick Adam Dennis, who has been the #1 for Alleghe since he was transferred to the team on October 11, 2010. Andreas Bernard — Born on June 9, 1990, Andreas Bernard has become one of very few native-born goaltenders in Italian hockey to find significant success elsewhere. He started his professional career at the age of 16 during the 2006-07 season with Neumarkt/Egna in the Serie A2 and, in 2007, he played for Italy for the first time at the World Under-18s. The next year, Bernard showed that he was one of the best young goaltenders in Italian hockey by having a stellar season with Neumarkt/Egna, recording a 2.91 goals-against average and a .909% save percentage in 20 games. He played at both the World Under-18s and at the World Juniors that season, too. At the World Juniors, he appeared in two games, registering a 1.50 GAA and an .893% save percentage, helping win a gold medal for Italy. Later, at the World Under-18s, he had a 1.72 goals-against average and a .919% save percentage in four games. After a year in Bolzano, Bernard moved on to the under-20 team of SaiPa, a well-known team in Finland. He also played in the next two World Juniors for Italy, winning a bronze medal in 2010. During the 2009 tournament, he had a 1.71 goals-against average and a .933% save percentage in five games; the next year, he had a 1.58 goals-against average and a .931% save percentage in the same amount of games. He was named the tournament’s top goaltender both times. 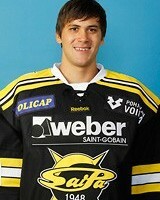 To this day, Bernard is still in Finland, playing this season for Jukurit, a team in the Mestis with SaiPa affiliation. Martin Ausserhofer — Born on April 4, 1988, Martin Ausserhofer is one of very few goaltenders in Italian hockey who has consistently applied his trade in North America. In the two years before coming across the Atlantic, Ausserhofer proved himself on the international stage quite resoundingly. At the 2006 World Under-18s, he helped Italy win gold with an impressive 0.40 goals-against average and a .957% save percentage in three games. The next year, the then 18-year-old dazzled in the backup role at the World Juniors, recording a 1.13 goals-against average and .938% save percentage in two games. In 2007-08, Ausserhofer, a Brunico native, came to North America to play for the New Jersey Rockets, a team in the Atlantic Junior Hockey League. He performed admirably in his first season, registering a 3.46 goals-against average and an .877% save percentage in only eleven games. 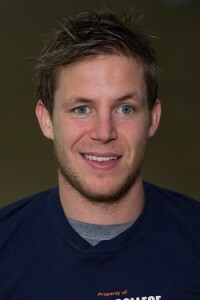 Ausserhofer played at his second career World Juniors in 2008, recording a 1.67 goals-against average and a .926% save percentage in three games, helping Italy win gold. In 2008-09, he returned to the New Jersey Rockets and he had a superstar season. He had a 2.59 goals-against average and a .917% save percentage in 23 games; additionally, he was called up for two games to the USHL’s Chicago Steel. For the last four seasons, Ausserhofer has been playing NCAA Division III hockey for the Hobart College Statesmen, his statistically best campaign being his junior year in 2011-12, recording a 2.34 goals-against average and a .911% save percentage in 17 games after being the understudy to Nick Broadwater. Now as a senior, Ausserhofer and Broadwater are the teachers to freshman goalie Lino Chimienti. 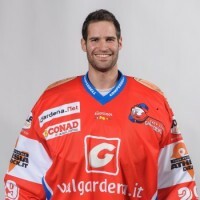 Florian Großgasteiger — Born on September 6, 1987, Florian Großgasteiger has been a solid goaltender between the pipes for both Ritten/Renon in the Serie A and for Gröden/Val Gardena in the Serie A2. Despite his German name, he is currently one of the more veteran netminders in Italian hockey today. He has played in one World Under-18 tournament and in two World Junior tournaments during his career, as well. Großgasteiger’s first full season of professional hockey came later than most, starting at the age of 19 with Gröden/Val Gardena. That year, 2006-07, he appeared in 29 games, registering a 3.10 goals-against average and an .891% save percentage. In the years since, Großgasteiger has been on a bit of a rollercoaster ride statistically, having his share of rather unsuccessful seasons. The tides started changing in the Serie A during a three-game stint with Ritten/Renon during the 2008-09 campaign in which he had a 2.00 goals-against average and an .872% save percentage. As for his time with Gröden/Val Gardena, Großgasteiger’s best season thus far has been 2010-11, a campaign in which he had a 2.53 goals-against average and a .913% save percentage in 29 regular-season contests. He followed that up with a 2.27 goals-against average and a .907% save percentage in seven playoff matches. Großgasteiger has also appeared in two Italian Cup games during his career, one in 2010 and one in 2011. Günther Hell — Born on August 30, 1978, Günther Hell has been making opponents’ lives hell for the last fifteen years, most of which he has spent playing for Bolzano, his hometown team. One of the more accomplished veteran goaltenders in Italian hockey, Hell (whose name alone has made him one of Italy’s more popular players) has been very steady in goal for the Foxes over the years. In 1999-2000, his first full season as the starter for Bolzano, he had an impressive 2.24 goals-against average and a .902% save percentage in 45 games. Unfortunately, his statistics have never been consistently recorded so it is hard to determine just how successful he was for Bolzano between 2001 and 2004. In the years since then, though, Hell has had some of the best statistics among all goalies in Italian hockey. Despite the fact that he has played for Settequerce, Alleghe, Eppan/Appiano, Sterzing/Vipiteno and Pergine during his Italian hockey career, as well as a two-game stint in Austria with the Vienna Capitals, Bolzano has been Hell’s heaven on earth. In 2005-06, Hell showed why he was chosen to play at the 2006 Winter Olympics for Italy by having one of his statistically best seasons of his career. In 21 games, he had a 2.19 goals-against average and a .928% save percentage in 21 games. He has represented his country eight times during his illustrious career, including one World Under-18 tournament, one World Junior tournament, five World Championships and one Olympics. His statistically best World Championship came in 2003-04, when he led the tournament with a 0.96 goals-against average; coupled with his .949% save percentage, Italy won silver. The next year, Italy bettered themselves by winning gold. This season, the 34-year-old has showed no signs of slowing down whatsoever, registering a 1.69 goals-against average and .946% save percentage in nine games thus far. Alexander Sullmann Pilser — Born on January 19, 1990, Alexander Sullmann Pilser is a very steady, two-way blueliner who has shown both flashes of offensive brilliance and defensive acumen during his career. 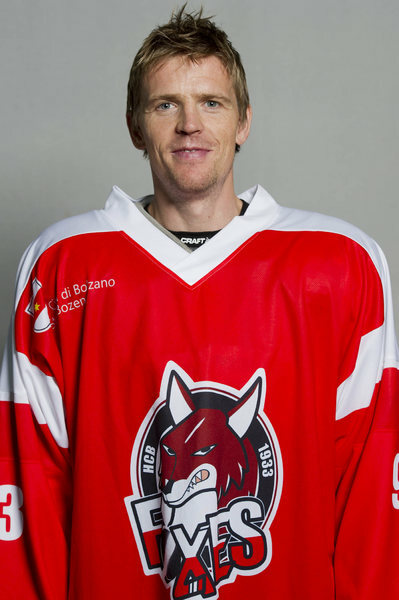 One of the more solidly built players in Italian hockey at 6’1″ and 209 pounds, Sullmann, a native of Bolzano, played four games in the Serie A2 with Neumarkt/Egna during the 2006-07 season. Before that, though, he came over to North America for the first time; at the age of 16, Sullmann made the trip to play at Notre Dame College in Wilcox, Saskatchewan, the same school that has produced the likes of Vincent Lecavalier, Brad Richards, Jaden Schwartz and Jordan Eberle, among others. In two years at Notre Dame, he recorded 35 points (nine goals, 26 assists) and 197 penalty minutes in 72 games. In 2008, he won a bronze medal for Italy at the World Under-18s. For three years after he left Notre Dame College, Sullmann played in the Czech Republic, splitting his time between the under-20 team of HC Plzeň and with HC Klatovy, a professional team in the third-highest Czech hockey league. Sullmann played well in Plzeň, recording 59 points (19 goals, 40 assists) and 275 penalty minutes in 137 games. He has since returned to his former team, Neumarkt/Egna, where one of his teammmates is his brother Michael, a forward three years younger than Alexander himself. Michael actually spent three years at Notre Dame College, too, graduating from the school just like his older brother did. Pippo Limnell Finocchiaro — Born on October 30, 1987, Pippo Limnell Finocchiaro is a perfect example of an Italian hockey player who has had success despite never playing for the national team. Limnell, a native of Catania, applied his trade for the first seven years of his hockey career in Finland, playing for the under-16, under-18 and under-20 teams of HIFK Helsinki. He actually played his first game in the Jr. C SM-sarja (under-16 league) at the age of 14. As his ice time increased, so did Limnell’s offensive production. In his last year with the under-16 team, he scored sixteen points in 21 games, including seven goals. He scored twenty points in 30 games in his only full year with the under-18 team. It was, however, Limnell’s three-year tenure with the under-20 team, in the Jr. A SM-liiga, where he was the most successful; in addition to his twenty points in 70 career games, Limnell played with some incredible talents, including Robert Nyholm, Roopertti Martikainen, Aleksis Ahlqvist, Frans Tuohimaa, Timo Seppänen and Juha-Petteri Purolinna. In 2008, Limnell returned to Italy, signing with Pontebba, a team in the Serie A, but he found better success in the Serie A2, winning back-to-back league championships, in 2009 with Sterzing/Vipiteno and in 2010 with Eppan/Appiano. In 2010, Limnell was once again on the move, this time to the Netherlands to play for the Tilburg Trappers, a team in the Eredivisie. He helped the team win the Dutch Beker Cup in his first year there and he also appeared at the Continental Cup. Last season, Limnell had his offensively best season of his career, scoring 46 points (fourteen goals, 32 assists) in 40 games, garnering a spot at the Netherlands All-Star Game. This year, Limnell was expected to go to the Braehead Clan, a team in the Elite Ice Hockey League based out of Renfrew, Scotland; at the eleventh hour, he returned to the Netherlands to sign with Eindhoven Kemphanen. Stefano Marchetti — Born on November 10, 1986, Stefano Marchetti is one of the best two-way defencemen in Italian hockey, both in the Serie A and on the international stage. He has improved his point production almost every year since he has been playing professionally. A native of Trento, Marchetti played his first game in the Serie A during the 2002-03 season, eventually dressing for ten games with Fassa as a 16-year-old. The next year, his ice time increased and he appeared in 25 games, recording four points, including his first Serie A goal. Also in 2004, he played at the World Under-18s, helping Italy win bronze. Marchetti spent another five seasons with Fassa, ending his tenure in 2009. His offensively best season with the team was in 2007-08, when he scored sixteen points (three goals, thirteen assists) in 36 games. During his time with Fassa, too, Marchetti played at two World Juniors, winning bronze in 2006, and also at his first Men’s World Championships. In 2009, he left Fassa for Pontebba and his offensive production began to assert itself. In 2010-11, his second and final season with Pontebba, Marchetti had his offensively best campaign of his career thus far, scoring eighteen points (four goals, fourteen assists) in 40 games. For the last two seasons, he has played for Asiago. Additionally, Marchetti has appeared in three more World Championships, winning a gold medal for Italy in 2009. He has also played at the Italian Cup, the Italian Supercup and the Continental Cup, showing that he has quickly become one of the premier blueliners in all of Italian hockey. Mikeol Moroder — Born on June 28, 1986, Mikeol Moroder has been a considerably steady stay-at-home defenceman for many years. One of the lower-scoring blueliners in Italian hockey, the current free agent has also been a thorn in the side of opponents during his career, all of which he has spent with Gröden/Val Gardena. A native of Bressanone, Moroder played his first game of professional hockey in the Serie A at the age of 17. He also managed to score a goal in his first professional season, a stint of twenty games. That same season, 2003-04, Moroder represented Italy for the only time in his career, winning a bronze medal at the World Under-18s. Starting in 2004, Gröden/Val Gardena has been in the Serie A2. Moroder remained a stabilizer on the defence, not putting up a lot of points but he was also a physical force. Between 2004 and 2010, he scored only nineteen points (three goals, sixteen assists) and racking up 233 penalty minutes. He missed the entire 2010-11 season, only appearing in one game during the 2011 RBK Hockey Cup playoffs, but, despite it all, Gröden/Val Gardena gave Moroder a one-year contract extension. He proved why he deserved it by having his offensively best season of his career last year, scoring thirteen points (one goal, twelve assists) in 39 games. Moroder is not currently under contract right now but he would make a great addition to any team willing to allow him to keep ascending the learning curve he started climbing last year. Michele Strazzabosco — Born on June 2, 1976, Michele Strazzabosco is one of the most decorated and well-loved defencemen in Italian hockey. The 6’4″, 216-pound blueliner played his first professional game at the age of 17 with his hometown Serie A team, Asiago. That was nearly two decades ago and Strazzabosco is still going strong. In his 20-year career, he has become one of the country’s more reliable players, representing his country almost every year. He has played at two World Under-18s, three World Juniors, twelve World Championships and one Olympics, the 2006 Torino games in his homeland. Strazzabosco’s best offensive season was in 1999-2000 with Asiago, a season in which he scored 33 points (eleven goals, 22 assists) in 46 games. Over his career in the Serie A, which has also had him spend tenures with Milano and Cortina, he has done so fantastically, scoring 233 points (57 goals, 166 assists) and 1222 penalty minutes in 637 career matches. In 2006, after playing at the Olympics, he was invited as a free agent to the training camp of the Buffalo Sabres, an incredible accomplishment for someone playing in the top professional Italian hockey league. His Serie A résumé includes a Continental Cup, an Italian Cup, an Italian Supercup and two RBK Hockey Cup rings, while his international résumé includes two World Championship gold medals (2005, 2009), one World Championship silver medal (2004), and being named one of the top three players on Italy’s team at the 2008 World Championships. 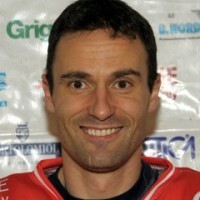 For the last two seasons, Strazzabosco has been an assistant captain in Asiago. Tommaso Traversa — Born on August 4, 1990, Tommaso Traversa is another Italian hockey player who has found considerable success in both his homeland and elsewhere. 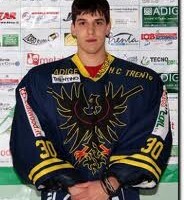 A native of Torino, Traversa made his professional début during the 2006-07 season with Valpellice, a season in which he also spent time in Slovakia, playing for the under-18 and under-20 teams of MHC Prievidza. In 2007-08, he played for All Stars Piedmonte, a Serie A2 team close to home. That year, he had 30 points in 38 games; he additionally got to play at both the World Juniors and the World Under-18s. He won a gold medal at the World Juniors while he led the under-18 tournament in scoring. A smaller player at 5’7″, Traversa played the next two years for Real Torino in his hometown, recording 57 points (26 goals, 31 assists) in 68 games over those two seasons. He also played at two more World Junior Championships, winning bronze in 2010, the same year he was an alternate captain for Italy. 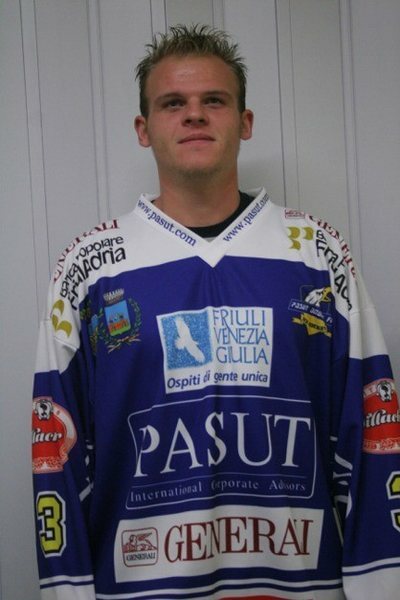 For the 2010-11 season, Traversa made his way to North America to play for the EJHL’s Bay State Breakers. He played very well, recording 24 points (nine goals, fifteen assists) in 41 games. After that, he committed to playing NCAA Division III hockey at Hobart College; on their roster, the Statesmen had another one Italian-born player, goalie Martin Ausserhofer, with whom Traversa played at the 2008 World Juniors. 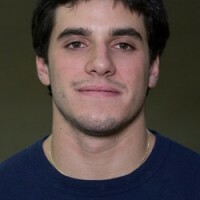 In his freshman year at Hobart College, Traversa had twenty points (ten goals, ten assists) in 27 games. He is currently underway in his sophomore season. Marco Insam — Born on June 5, 1989, Marco Insam has accomplished more in eight years than most Italian hockey players do in their entire careers. A native of Selva Gardena, Insam’s father Adolf is a former player who has since become one of the more successful coaches in the country. After scoring six points in five games and winning a gold medal at the 2006 World Under-18s, Insam made his first trip to North America, playing midget hockey at Notre Dame College. During the 2006-07 season, he had 41 points (25 goals, 16 assists) in 37 games; he also played at both the World Juniors and the World Under-18s for Italy. The WHL’s Regina Pats took notice and they selected him with the 71st overall pick in the 2007 CHL Import Draft. 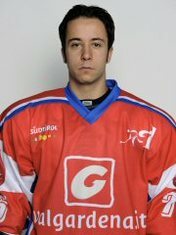 Insam did not report to Regina; instead, he returned home to play for HC Milano, the team his father had previously coached. He had 21 points during the 2007-08 campaign. Additionally, Insam had thirteen points in five games at the 2008 World Juniors, including a tournament-leading eight goals, helping Italy win gold, and he got to play in one game at the Men’s World Championships. 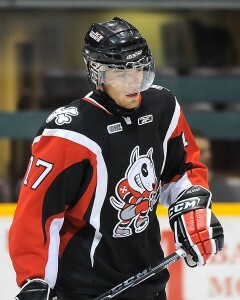 The CHL Import Draft came calling once again in 2008, with the newest suitor being the OHL’s Niagara IceDogs, who selected him with the 100th overall selection. This time, Insam came back to North America. In two seasons in St. Catharines, he scored 60 points (32 goals, 28 assists) in 126 career OHL games. After his Canadian major junior career ended, Insam returned home to Italy to play for Bolzano, the team coached by his father. He has amassed two incredible honours already, winning a gold medal at the World Championships in 2011 and a RBK Hockey Cup in 2012. He is currently in his third season with Bolzano. Nicola Fontanive — Born on October 25, 1985, Nicola Fontanive may not be the biggest player in Italian hockey in terms of stature but he more than compensates for his 5’6″ height in terms of heart. Fontanive has been a mainstay on national teams since he played in his first IIHF tournament, the World Under-18s, in 2002 at the age of 16. In that tournament, he had three points in four games, including one goal, and he won a bronze medal. He made his professional hockey début the next year with Alleghe in the Serie A, appearing in three games. He additionally played at both the World Juniors and the World Under-18s for Italy in 2003, scoring a pair of goals in each tournament. As early as the next season, Fontanive was a key player on the Alleghe roster. Playing with two of his family members, Fontanive began thriving. He recorded sixteen points (eight goals, eight assists) in his first full season with Alleghe in 2003-04, a 39-game stint, before bettering it the next year with 22 points (twelve goals, ten assists) in four fewer games the next year. By the time he was done his third full season in the Serie A, Fontanive had also appeared in two more World Junior Championships and the 2005 Men’s World Championships, in which he won a gold medal. In 2005-06, he was a busy man; in addition to a 46-game schedule with Alleghe, he appeared in both the 2006 Winter Olympics in Torino and at the 2006 World Championships. In 2006-07, Fontanive set a new personal best in goals with thirteen but, the following season, he had an off year, only recording seventeen points, including two goals. He bounced back and, in 2009-10, he had his best offensive season to date, scoring 33 points (twelve goals, 21 assists); he also appeared in three more World Championships during that time, winning gold yet again in 2009 and being named one of the top three players on Italy’s team in 2010. During the 2010-11 season, Fontanive played in Norway, signing with the Frisk Asker Tigers. After only one game in the First Division, he was promoted to the GET-ligaen, where he had 24 points (eight goals, sixteen assists) in 31 games. In 2011, he won yet another gold medal at the World Championships and he also signed to return to Alleghe. In 2011-12, Fontanive scored 30 points (ten goals, twenty assists) in 32 games. So far this season, his tenth with Alleghe, he has ten points in ten games. Majcol Lambacher — Born on June 15, 1984, Majcol Lambacher is a player who, despite not having played since 2010, shows that a smaller player will not take lightly to being pushed around, even in Italian hockey. A native of Bolzano, Lambacher was never the biggest player on the ice or the most offensively productive but he was effective at playing physically. He also could score whenever possible. At the age of 17, Lambacher left home to spend the 2001-02 season in Germany, playing for the Augsburger Jungpanther, a team in the Deutsche Nachwuchsliga, the national under-20 league in that country. After a year in which his statistics were not recorded, he returned to Italy to begin his professional career. In 2003-04, when he was only 19, he played his first of seven seasons with Gröden/Val Gardena; at the time, they were a member of the Serie A. That season, he appeared in 26 games and he scored a goal during that stint. The next season, and every subsequent campaign, his team was relegated to the Serie A2, where Lambacher showed that he was not going to be an easy opponent to play against. The 5’7″, 163-pound forward tallied a total of 31 more points (eleven goals, twenty assists) in 192 games, as well as 211 penalty minutes, showing that he would never back down from any challenge. Although Lambacher is not officially retired from hockey, there have not been many players as feisty as he in Italian hockey since his departure. Simone Donati — Born on February 4, 1984, Simone Donati is yet another Italian hockey player who has found considerable success both in his homeland and in another country, as well as representing Italy on the international stage. A year after playing in his first World Under-18s, Donati moved to Switzerland to play for the under-20 team of HC Lugano, one of that country’s most renowned organizations. In that season, 2001-02, he scored six points and tallied 37 penalty minutes in 18 games; he also had five points in four games at a second World Under-18 tournament. 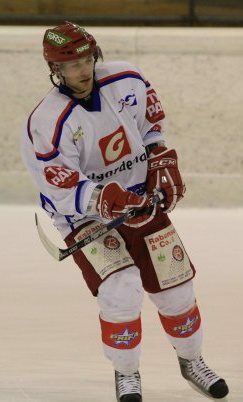 In 2002-03, Donati made his professional hockey début, playing for La Chaux-de-Fonds in the Schweiz Nationalliga B, the second-highest professional league in Switzerland. That same year, he also played at the World Juniors for Italy. 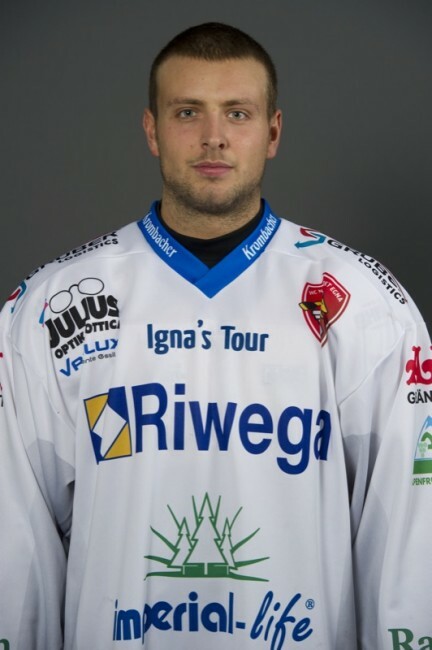 After a year back in his homeland with Varese, Donati, who hails from Seriate, returned to Switzerland to play for two other NLB teams, Chur and Ajoie. He finally returned to Italy permanently in 2006 to play in the Serie A for Pontebba. After that, he bounced around a lot, playing for both Valpellice and Varese, spending a year with each. The 2007-08 campaign in Valpellice was Donati’s offensively best season of his career, compiling 65 points (28 goals, 37 assists) in 42 games. After taking a year off in 2009-10, Donati played each of the last two seasons with Neumarkt/Egna, recording 77 points (29 goals, 48 assists) in 63 games in those two years. Donati is not playing at the moment but, if history is any indication, he will be back with a vengeance in good time. Daniele Veggiato — Born on April 3, 1978, Daniele Veggiato has been a mainstay for Alleghe since he was sixteen years old, an incredible feat for any Italian hockey player. A native of Agordo, Veggiato made his début with Alleghe in 1994, not long after playing in his first World Under-18 tournament. He appeared in 22 Serie A games and six more in the Alpenliga, recording four points, including his first professional goal. As he grew older, the 5’8″, 161-pound left winger saw his point production increase each season. Like many other Italian hockey players, the 1999-2000 season was also the best for Veggiato, who had an impressive 97 points (53 goals, 44 assists) in 46 games. He may not have gotten the opportunity to represent his country as often as other players but Veggiato has been one of the more consistent players in Italian hockey and there have not been many others who mean as much to Alleghe as he has. In 668 games with all three teams (Alpenliga, Serie A, Serie A2), he has accumulated 634 points (314 goals, 320 assists) during that tenure. Even more incredible is the fact that 578 of those 634 career points have come while Alleghe has been a member of the Serie A. Veggiato served as an alternate captain last season, too. Well underway in his nineteenth season with the team, there is no doubt that Veggiato is a legend in contemporary Italian hockey, one of the best scoring forwards in Alleghe team history. Lino De Toni — Born on October 18, 1972, Lino De Toni is the elder statesman of Italian hockey today. At 40 years old, De Toni is playing in his 22nd professional season in 2012-13. His scoring success has been equal between the Serie A and on the international stage. He represented Italy for the first time in a IIHF tournament in 1990 at the age of 17, playing at the precursor to the World Under-18s for lesser European teams. That year, the Agordo native had fifteen points (eight goals, seven assists) in seven games. The next year, De Toni came to North America, playing 17 games in the QMJHL for the now-defunct St-Jean Lynx before he returned home to play for Alleghe, a team he would become synonymous with. In nineteen years with Alleghe, he put up some of the best numbers that the squad had ever seen in its history. De Toni’s offensively best season came in 1999-2000, when he had 102 points (46 goals, 56 assists) in 46 games. In total, during his tenure with Alleghe, he had accumulated an impressive 755 points (309 goals, 446 assists) in 672 games, combining stints with the team while in the former Alpenliga, the Serie A and the Serie A2. 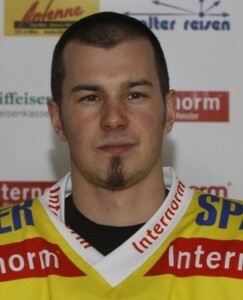 During De Toni’s last season with Alleghe in 2009-10, he was team captain. After one year with Cortina, De Toni has spent the last two campaigns with Pergine. During his illustrious career, he has also appeared in several other tournaments for Italy, including the 1991 World Juniors (in which he scored fifteen points, including ten goals, in seven games), eight World Championships and the 1994 Winter Olympics in Lillehammer, Norway. In his last World Championship in 2004, he helped Italy win a silver medal.